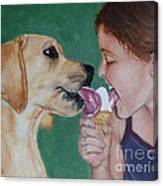 Double Dip - Ice Cream For Two is a painting by Amy Reges which was uploaded on July 23rd, 2013. I scream, you scream, we all scream for ice cream! 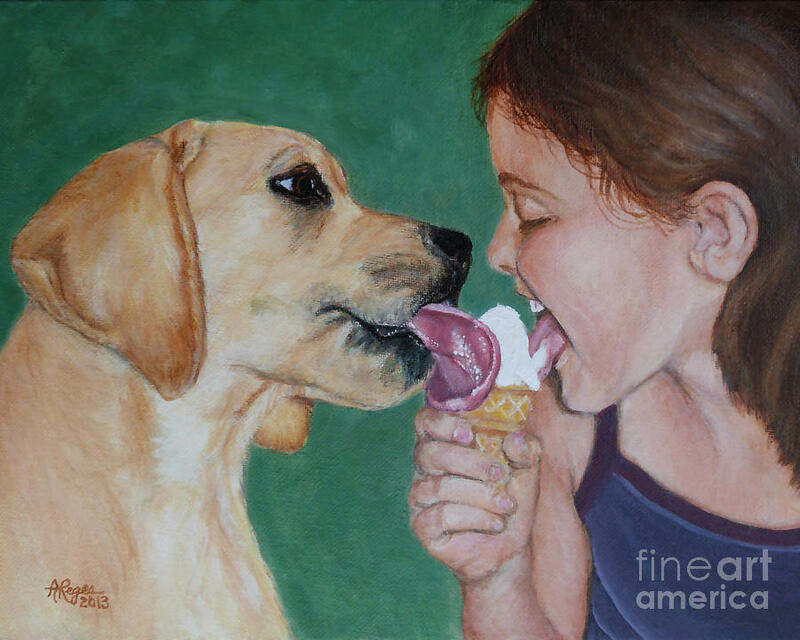 Everybody love ice cream and it's fun to share on a hot summer day. This young girl doesn't mind that her yellow Lab puppy shares a taste of her cone. 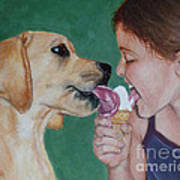 While the characters here are fictitious, this reminds me of myself and my dogs. How about you? Original done in my simple, abstract style is acrylic on 9x12" canvas panel. There are no comments for Double Dip - Ice Cream For Two. Click here to post the first comment.